A/ Business is booming, you’ve reassessed your spatial requirements and clearly there is a need for more space. Given the upheaval this will cause, you want to ensure that the process and outcome is as successful as possible for your people, the environment and your bottom line. B/ You’re expanding into a new area/town/region and require a new beachhead from which to expand. The space should actively communicate your social and environmental credentials, while providing an effective, efficient working space for those charged with expanding the business. C/ A change in production or internal systems requires a reconfiguration of your existing offices or workshops. You need some clever ideas to free up space, streamline output and help your team be as effective as possible. You suspect that indoor air quality, thermal comfort and daylighting, acoustics, interior layout, views and biophilia will all be important. 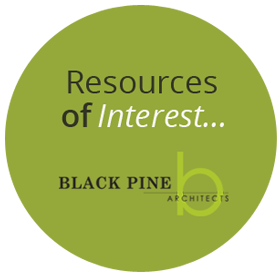 Black Pine Architects can work with you and your team, to dig deeper into the specific, critical factors that will make your work place environment work harder for you. Using this feedback and via a series of design feedback exercises, we create the ultimate setting for your team to create the ultimate business. Call Duncan to discuss further how we can help you. After careful assessment, some cunning design and in collaboration with Geoff Davies Builders, Black Pine Architects freed up critical production space, providing world class exporters Pacific Helmets, with a smoother flowing production line. When key social services provider Jigsaw were looking to relocate, they engaged Black Pine Architects to work with their team to clarify the key components in a future office & service environment. With up to 90% of business operating costs invested in people, even a small improvement in productivity, engagement and satisfaction can produce a huge return. Aside from a happier team, actively providing healthy working conditions also helps attract the best employees. Customers too are placing increasing importance on authentic, differentiated experiences. Local, contextual design and expression of a company’s values can provide a point of difference that is difficult to replicate by competitors. Whatever the driver, a better built environment is good for people and is good for the bottom line. At Black Pine, we are strong proponents of solid frameworks for design development. They help to align the design process with your business goals and provide assurance that the design can deliver on it’s promise. 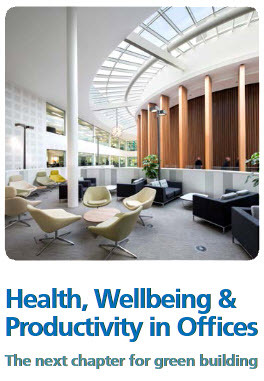 The WELL Building Standard that homes in on the critical factors, that ensure wellbeing for your team. Call us today to discuss the framework that best meets the key criteria for your business.